Land & Coastal Services is an environmental consulting company specializing in ecological services and water resource management. We work with clients in the public & private sectors and have expertise and project experience in the areas of commercial and residential property development, project management, energy transmission, storm water management, transportation, freshwater & coastal habitat restoration, vegetation management, and watershed planning. Our personnel are respected professionals with extensive field and regulatory experience. Providence, RI. 2011-2013. As part of the City of Providence’s Roger Williams Park Ponds Restoration Land & Coastal completed a native planting program in 2013 with Save The Bay in collaboration with the RI Natural History Survey Rhody Native Program and Rhode Island nurseries. One of the goals for the RWP Ponds Restoration Project established by the Project Steering Committee was to utilize native plant material and neighborhood volunteers to complete the plant installations designed as part of the five stormwater best management practices constructed in the Park. Boston, MA. 2013. Land & Coastal provided support to ICF Consulting for restoration ecology in a study for the MA Division of Ecological Restoration to Evaluate the Ecosystem Service Benefits from Ecological Restoration Projects. These projects included an Economic Analysis for Improving Water Quality in the Muddy Creek Watershed, in the Towns of Harwich and Chatham and an analysis to measure the monetary benefit of additional carbon sequestration from two wetland restoration projects in Quincy and Hingham, MA. Land & Coastal Services is working with the ESS Group, Inc. on limnological assessments for the Providence Water Supply Board in three reservoirs, including Westconnaug Reservoir, Barden Reservoir and Moswansicut Reservoir. 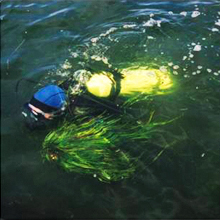 Land & Coastal Service’s staff assisted with bathymetric surveys, aquatic macrophyte surveys to create a species list and identify potential infestations of invasive weed growth and collection of in-situ water quality parameters,including temperature, dissolved oxygen, pH, color, turbidity, and specific conductance. Land & Coastal Services is providing Project Management support to the City of Providence Parks and Recreation Department and the Narragansett Bay Estuary Program to begin restoring water quality in the hundred acre system of freshwater manmade ponds. 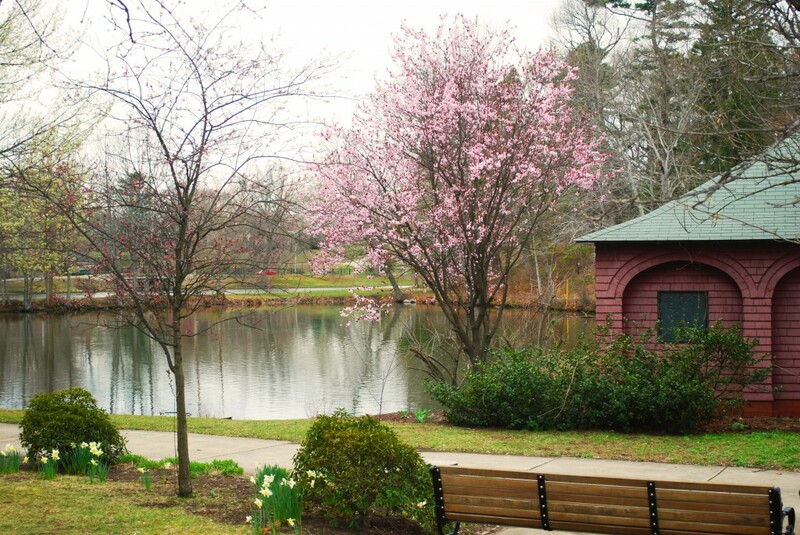 The Roger Williams Park Ponds Restoration Project is being funded by an Environmental Protection Agency grant for water quality improvements with a focus on stormwater management. a highly urbanized watershed that is mostly impervious. Land & Coastal is supporting the city and project team with overall project coordination including grant and contract administration, technical coordination with contractors for water quality, engineering, fish and wildlife studies, and project reporting. 2012-2013 Warwick, West Warwick, Cranston, Rhode Island. Land & Coastal Services assisted the Narragansett Bay Estuary Program and the Lower Pawtuxet River Climate-Ready Estuaries Steering Committee to develop a transferrable conceptual framework for improving ecological and social resilience to climate change by completing a pilot project on the Lower Pawtuxet River. Land & Coastal created a framework for the Steering Committee to identify and prioritize project priorities and supported EA Engineering & Technology Inc., to develop conceptual designs for three to five of these project opportunities. This pilot project demonstrates an approach to climate-change preparedness applicable at watershed scales throughout the Northeast, particularly in urbanized areas where ecosystems, communities and infrastructure are all potentially vulnerable to climate change impacts. North Kingstown, RI. 2010-2011. Land & Coastal provided project management, regulatory review and permitting services for a privately owned desalination system to supplement well water for residential use. The project required a RI Pollutant Discharge Elimination System permit from the RI Department of Environmental Management for the discharge of processed seawater, a Category B Assent from the RI Coastal Resources Management Council and Town of North Kingstown Town Council Approval. Land & Coastal prepared, submitted, and facilitated permits for construction of the discharge system. Southeastern, MA. 2010. 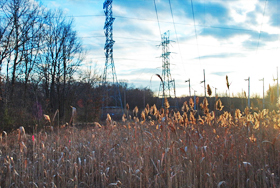 As a subcontractor to VHB, Inc., Land & Coastal performed ecological and wetland assessments to support permit applications for approximately 7-miles of transmission line right-of-way. Land & Coastal conducted wetland delineation in accordance with federal and state requirements, collected GPS data, compiled all collected data into a GIS, and produced graphics to support project engineering decisions. New York, Article VII. 2008 – 2009. As a subcontractor to the ESS Group, Inc., Land & Coastal provided regulatory services and expert witness testimony as part of the NYRI NYS Public Service Commission Article VII Application and public hearing process for a 450 kV dc transmission project between National Grid’s Edic Substation in the Town of Marcy, and Central Hudson Gas & Electric’s Rock Tavern Substation Located in the Town of New Windsor (190 miles). Jefferson and Oswego Counties, New York, Article VII. 2008. As a subcontractor to the ESS Group, Inc., Land & Coastal supported the project team as a subcontractor for environmental studies and managed a study of the impact of forest fragmentation on woodland birds within the proposed transmission line corridor as required by the NYS Department of Environmental Conservation. Steuben County, New York. 2008. As a subcontractor to the ESS Group, Inc., Land & Coastal supported the project team as a subcontractor with preparation of the Draft and Final environmental impact statements under the New York SEQR process for a 40 MW wind project in Steuben County, New York. 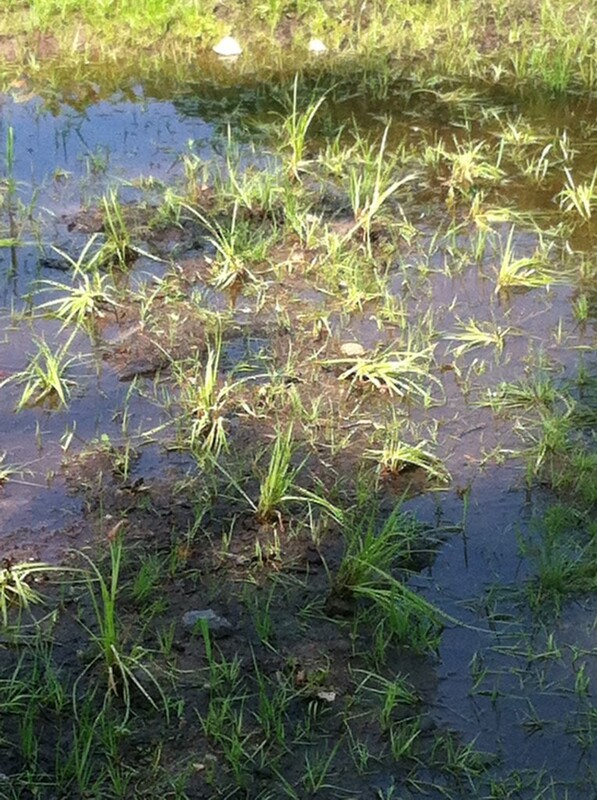 Does your project impact eelgrass? See how we helped this client to implement a restoration plan for maintenance dredging. North Kingstown, Rhode Island. Land & Coastal Services is providing regulatory services for the Quonset Development Corporation and the Rhode Island Fast Ferry, Inc. to construct a new berthing facility at the Quonset Business Park in North Kingstown, RI. 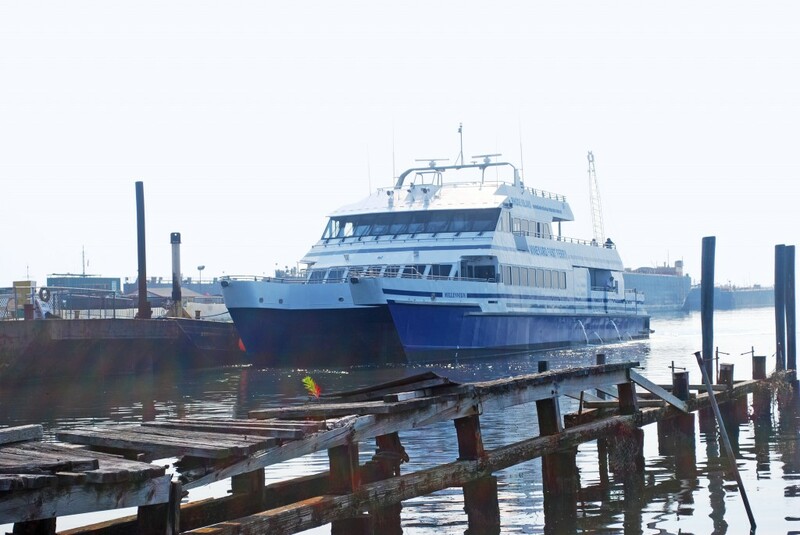 Land & Coastal teamed with Bourne Engineering Consulting who is engineering the project which includes a fixed pier, landing pier, and attached barge for the Millennium Ferry and a new ferry to provide passenger service to Martha’s Vineyard. Land & Coastal prepared the Rhode Island Department of Environmental Management Water Quality Certification, RI Coastal Resources Management Council and Army Corps of Engineers Applications and assisted with the RI Department of Transportation preparation of the NEPA required Categorical Exclusion. Johnston, Rhode Island. Land & Coastal Services is supporting Brown & Caldwell, Inc. to provide wildlife habitat assessment services for the RI Resource Recovery Corporation as part of their Wildlife Management Program. Shirley, MA. 2010. 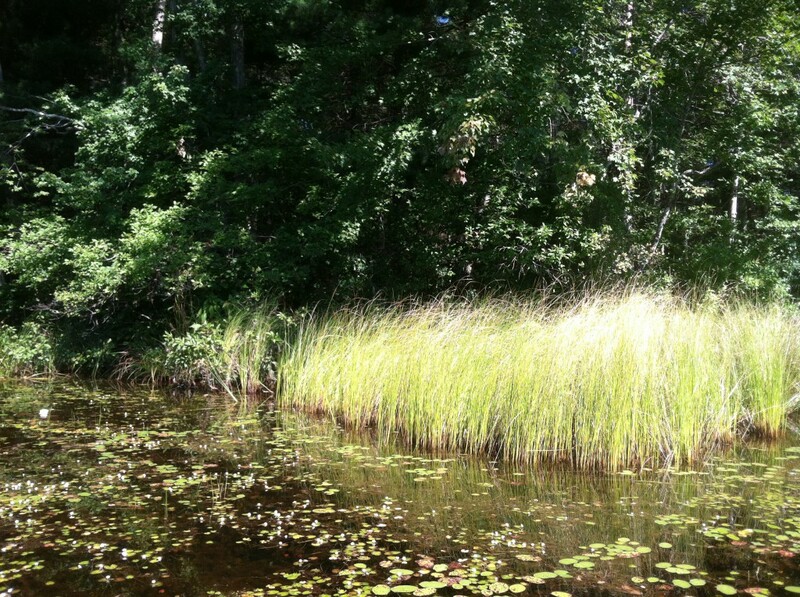 Land & Coastal performed ecological and wetland assessments for a 40-acre commercial site. Land & Coastal conducted wetland delineation in accordance with federal and state requirements, collected GPS data, coordinated with the project surveyor to develop a final map and completed the MA DEP Field Data Forms. Tiverton, RI. 2008-2009.Land & Coastal provided project management, permit preparation and submittal, regulatory coordination and regulation review as a subcontractor to the ESS Group on this mixed-use redevelopment of a 98-acre waterfront site formerly utilized as a bulk fuel oil storage facility. 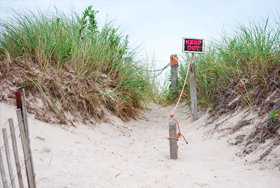 Land & Coastal prepared and filed multiple permits with the Rhode Island Coastal Resources Management Council, Rhode Island Department of Environmental Management, and Rhode Island Department of Transportation. Land & Coastal provided project management, permit preparation and submittal, regulatory coordination and regulation review as a subcontractor to the ESS Group, Inc. on this renovation of a commercial building. The project included a bulkhead repair for an existing charter fishing boat business, ISDS replacement, and demolition of the former fish processing plant for a new 15 room inn and spa development. LCS coordinated all regulatory reviews and permitting including RI Coastal Resources Management Council, RI Department of Environmental Management, Town of Tiverton and RI Department of Transportation. Project components included low-impact development designs to reduce overall stormwater runoff from the site. Need help with NEPA? We can support your environmental assessments. Jamestown, RI. 2009. 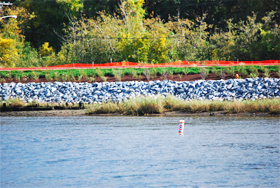 Land & Coastal provided project management, regulatory review and permitting services for construction of a stairway to access the shoreline on Mackerel Cove. The project required a RI Coastal Resources Management Council Assent. Middletown, RI. 2008. 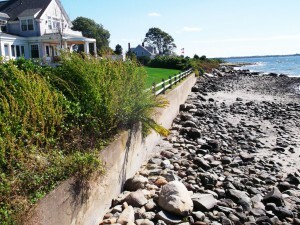 Land & Coastal provided project management, regulatory review, and a coastal feature delineation to permit a security fence for property located on the Sakonnet River. The project required a RI Coastal Resources Management Council Assent. Natick, MA. 2009. Subcontractor to ICF Consulting, Inc. Regulatory review for the U.S. Army Natick Soldier Systems Center CERCLA project on the Lake Cochituate Shoreline. Want it mapped? We use GIS and CAD to support our client’s project needs.